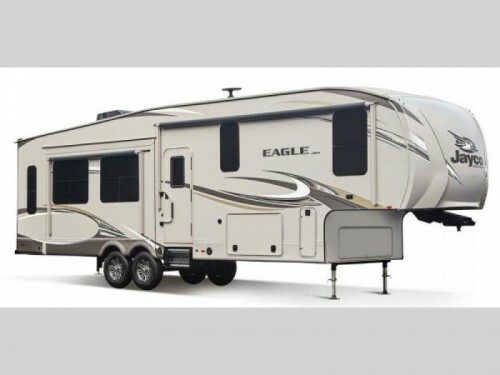 Get ready for more luxury than ever with the Jayco Eagle fifth wheels for sale here at Fretz RV! 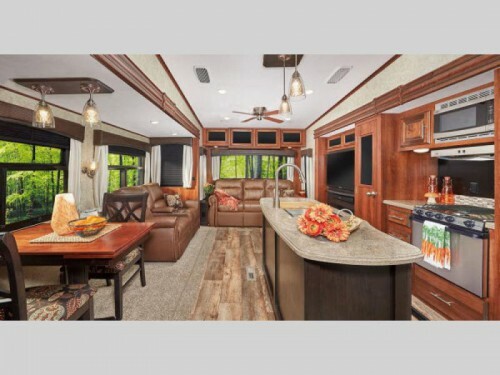 This amazing recreational vehicles comes in five floorplans, and each will feature plenty of items to make your next RVing vacation better than ever. Let’s take a look at just a few of these amenities in this Jayco Eagle fifth wheel review and see what you could enjoy the next time you head to the campground. Check out our Jayco Eagle Fifth Wheels! From the outside in, the Jayco Eagle has plenty of residential grade amenities to help you feel right at home. Things such as the Climate Shield zero degree tested weather protection and HELIX cooling system will keep the interior at just the right temperature for comfort no matter what the weather is doing. And these high end items can be seen in each and every area from the stainless steel kitchen appliances to the residential queen master bed. Enjoy more comfort in the spacious interiors. The Eagle fifth wheel is built with more luxury in mind due to the extra packages that come standard on it. For example, the Customer Value Package will add things like the electric patio awning with LED lights and a 48” LED HDTV for more features inside and out. 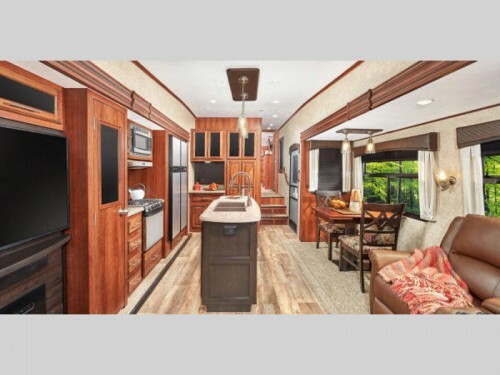 You will also have the Luxury Package with this camper, so you can enjoy more long term comforts with the washer and dryer prep area, LG solid surface countertops, and an LED fireplace. Get standards than ever before! Even though this fifth wheel is made to increase your comfort, it will also come with plenty of items for large and small families. 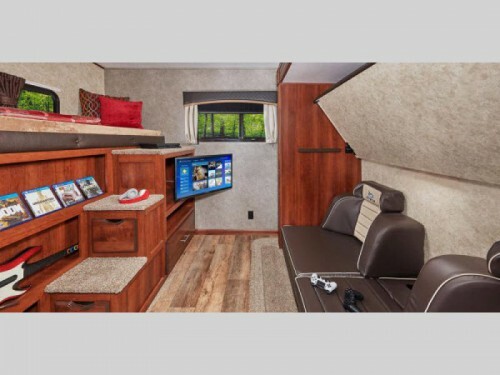 With some floorplans featuring a bunkhouse to provide enough room sleep up to eight people as well as a large exterior pass-thru storage compartment, you can bring the entire family along without sacrificing luxury. Find more room for families with the bunkhouse floorplans. There are so many things to love about our Jayco Eagle fifth wheels, so be sure to come by our location and check them out. And for more information on our amazing RVs, feel free to contact us today!